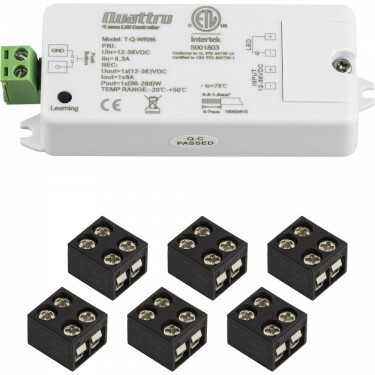 (6) L-8MM-EZ 6-pack strip connectors. This is ideal for adding another zone when the driver is large enough to accept the additional wattage of this zone. If not, use the expansion pack with an additional driver.